Kristy Muir is the CEO of the Centre for Social Impact and a Professor of Social Policy at UNSW Sydney. She works with for purpose organisations to help understand, measure and find innovative solutions to complex social problems. Over the past decade Kristy has undertaken dozens of projects with many government, not-for-profit, corporate and philanthropic organisations to help improve social impact. Her research and social impact measurement focuses on children, young people, families and communities and, thinking systemically, span a large number of social domains (e.g. education, employment and social participation, wellbeing, disability, mental health, financial resilience). 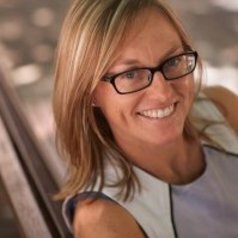 Kristy has won over $11 million in research funding (including from the Australian Research Council) and has published widely in international and Australian policy, sociology, social work, history and public health journals (https://research.unsw.edu.au/people/associate-professor-kristy-muir/publications). She was previously the Associate Dean (Research) of the Faculty of Arts and Social Sciences (2011-13) and the Director of the Disability Studies and Research Centre, UNSW. Kristy has a PhD in social history and, prior to joining academia, worked in the not-for-profit sector.